The events of history are often masked by the myths, legends, and various revisions that the writers of history want us to read. So, too, are places that we visit. If we are not careful we will see, or be shown, only what the publicists, the marketing people, want us to see. They present us with a mask. Whether looking at the events of history, or visiting historical places, always look behind the mask. You may just be surprised. “The approach to Venice is disappointing. Mestre is not a city that inspires wonder. Apart from the wonder of how it came to be like that. The causeway between Mestre and Venice is perhaps more inspiring because it seems to cross a sea that is as smooth and as grey as a sheet of glass. Islands rise out of the lagoon barely enough to support the vegetation that grows upon them. One more tree and the island would sink. And in the distance, at the end of the causeway, rising out of the mist are the familiar domes and spires of Venice. Familiar even to those who have never been there before. They say that Venice is sinking. But only because of the weight of the tourists. It is in danger of becoming a theme park. A parody of itself. The expectation of the Venetian myth is so great that the city puts on a mask just to satisfy the tourist. To really know Venice one must look behind the mask. 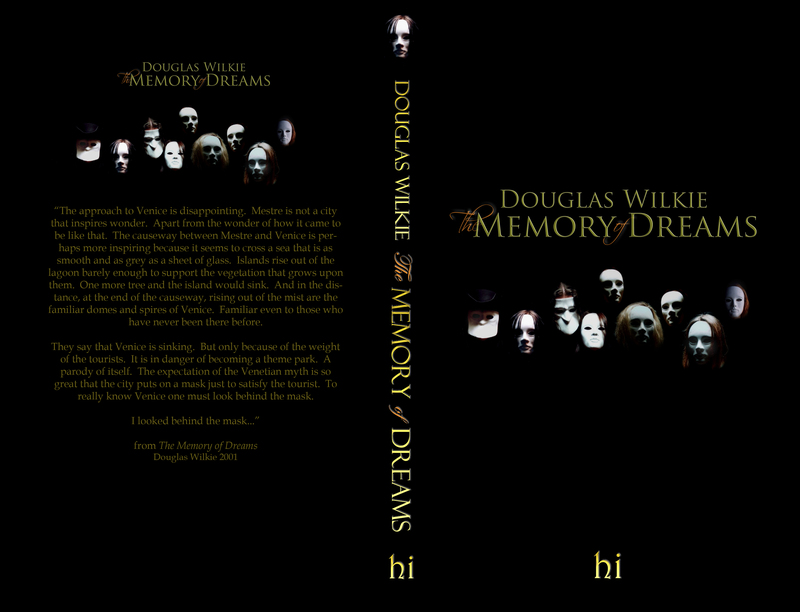 The Memory of Dreams (ISBN 9781320639309) can be purchased through Blurb or (ISBN 9781364727574) through outlets such as Amazon, The Book Depository and other online retailers.